With the release of Avengers Infinity War 2 Official movie trailer tagged “Avengers: End Game”, we learned that our all-time favorite superhero, Iron Man, a.k.a Tony Stark is drifting in a spaceship, floating in the endless space waiting for to be rescued. In one of his distress calls, he says food and water ran out four days ago. With the look of his situation, the poor fellow, of course, Tony Stark knows he has little chance of survival, but luckily some real heroes of the world have taken responsibility to save Iron Man from space. Many “Avengers: End Game” fans on Twitter have hounded NASA to rescue Tony Stark from the space. Avengers: End Game is set to release in April 26th, 2019, and is a direct sequel to 2018’s Avengers: Infinity War. The trailer makes it a bit clear that Avenger: End Game will primarily focus on the impact of Thanos’ finger snap, which resulted in the extinction of half the universe including most of the Stars in the movie. I guess we all know Ant-Man and Clint Barton didn’t show up in the Infinity War of last year, both characters will make a come back in the Avengers: End Game along with the most anticipated Marvel character of the year, I’m talking about no other than Captian Marvel. Meanwhile, Captain Marvel standalone movie is coming on March 8th, 2019. Watch the trailer here. 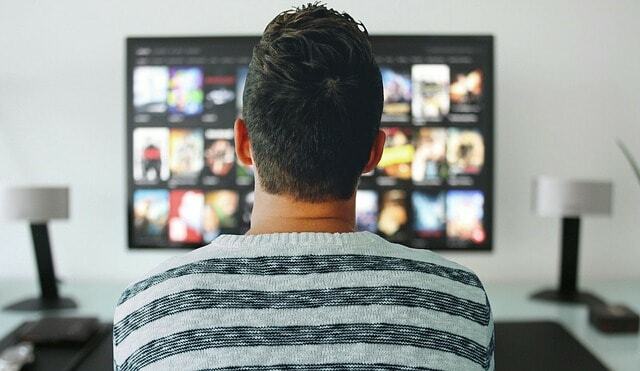 In this article, we’ll discuss the best Netflix Alternatives for streaming video contents online. Do you know there are several other movie apps like Netflix? If you love streaming latest and updated videos online right from your mobile devices, Laptop or PC, you probably should be familiar with the popular movie streaming site, Netflix. Netflix is one of the most popular Movie streaming site which is also available on Android mobile platform (You can download it from Google playstore). Having used and tested how worthy it is to use Netflix in streaming videos online, you may as well be searching for Netflix Alternatives. There’s no doubt there are many good Netflix alternatives out there with the same or similar features, some of these other movie apps like Netflix offers free services while others are premium. However, they both render great services as far as movie streaming is concerned. Below are the lists of best Netflix alternative (apps and websites). Here are some top movie streaming sites like Netflix which offers free services. Though this movie streaming site has fewer features in the collection of the latest movies. Hoverer, you can use them in streaming some hot videos since they are totally free of charge. You don’t have to pay any access fee or premium membership fee to start using cracle. You can just register for free and start watching. This is another movie streaming site where you can watch videos unlimitedly for free upon successful registration. This movie site Have some features similar to Netflix with some additional features which are not included in Netflix. When it comes to picking the best Netflix alternative, this will probably be among because of the amazing features such as Most Popular, New Arrivals, Leaving Soon, and Not on Netflix, which was fun to see. Just like the above streaming websites, Snag films offer free streaming too, however, this goes with a slight difference as it got over 2000 movies for free streaming. You can stream Documentaries, TV shows, Comedy movies and lots more without monthly or yearly charges. without doubt, each time you’re searching for other movie apps like Netflix this particular website must be considered even though it’s free. Here are some other premium movie apps and websites like Netflix for paid streaming. Pureflix offers a different selection of movies that focus on “family friendly and wholesome entertainment for all ages”. The company shares mostly Christian based movies and TV shows and provides access to over 2,000 titles currently. For their subscription price ($10.99 per month or $99 annually – new viewers get the first month free) you can view Pureflix movies and TV shows on up to six devices at a time. Premium cable channels are now offering the ability to live to stream their shows and movies independently of cable companies. Showtime, for instance, allows you to subscribe to Showtime movies and TV for only $10.99 per month. For this price, you get access to all current and past episodes of Showtime original series as well as some sports offerings. You can watch on your TV, computer or tablet and it’s all commercial-free viewing. The list of supported devices is long enough to fit almost any viewer as well. All of the above are best Netflix alternatives where you can stream live videos for free or as a premium member. If you like our list of top Netflix alternatives to, kindly share and tweet us below. Like I said earlier, there are many other movie streaming sites like Netflix which aren’t listed here. If you have tested and used any of them, kindly share with us in the comment section. Need More Updates? Remember to subscribe with your email address.